This is not intended to replace the forums and wiki as we consider those a great source of technical and helpful information. 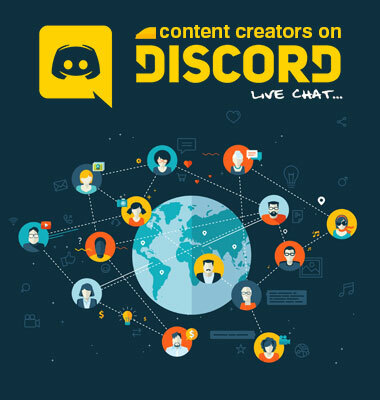 The service will be run via the software “https://discordapp.com”. It’s similar to Skype but aimed more at gamers and has some very easy to use features. To get started, register an account (if available you might like to use your MyTrainz username, N3V will be doing this). Once registered, download the application for your operating system and login. Once in feel free to chat away about any content related topics. This communication channel WILL NOT be moderated. If you choose to take part in this service then you have a full understanding of what this means and N3V takes no responsibility for any comments made or information exchanged throughout the chat room. N3V will at its own discretion kick and ban accounts. We are currently trialling this service for content creators. If you have daylight savings then be sure to take that into account on your end. We don’t in Queensland, Australia so the AEST will always be the same. We aim to answer as many Content Creator questions as possible during the time the Trainz Team is online. If your question doesn’t get answered please feel free to continue with it on the other communication channels (forums, support and helpdesk sites), continue your conversation with the other creators in the live chat room for as long as you like or wait till the following week for the Trainz Team to hopefully address it if it isn’t urgent. We are also open to suggestions and ideas about this new service so please feel free to tell us your thoughts. Let's hope those European content creators don't need much sleep (or don't have a day job). Being retired doesn't mean I do nothing,but it does give time to do what I find interesting. I want to build routes based on some of the branch lines cut by Dr Beeching's plan "the reshaping of Britain's railways" in 1963 . My current project is the Barnstable branch of the GWR.but I am struggling with the import of Digital Elevation Data from google Earth Pro. Beim Aufrufen einer Strecke im Menü kommt immer die Aufforderung ,ich habe keine Karte aufgerufen oder gewählt.Gibt es da Abhilfe ? Many thanks for the update, looking forward to it. Yup, I got it all fixed now Thanks for all the help!! What routes are out there with good sessions and length? Yeah, that is one thing I forgot to do was to revert it, now it works.....Thank you!! Nice shots Norm have to agree just love 30, Just keep returning to that last layot I built. Thanks for the kind words Colin. A DEM? Not sure what you mean by that - a download of terrain contours from Google earth or a geo survey map into Trainz? Seconded, most certainly! Great job, dude, and can't wait to see what comes of it!